Sherry Feldpausch fondly remembers when she first discovered KET. She was a young girl at Stan­ley Elementary in Owensboro. Her teacher, taking a break from the day’s regular activities, wheeled a television into the classroom, tuning it to KET. Sherry and her classmates delighted in what they saw: fun, educational programs that explored science and math and opened their eyes to the wonders of Kentucky and the world around them. “It was such a treat when we got to watch KET,” Sherry recalled. “It was the best part of the school day.” Today, she says she still gets the same joy when she tunes in to KET. The daughter of Western Kentucky farmers, Sherry said her family’s keen interest in public service rubbed off on her at a young age. 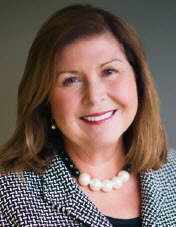 So it’s fitting that Sherry says she’s drawn to KET’s public affairs programming, particularly Renee Shaw’s legislative and election coverage through programs such as Kentucky Tonight and Legislative Update. When Sunday comes around, she again looks forward to KET, where she can catch up on her favorite Masterpiece programs, such as Victoria and Poldark. Her parents and sister Peggy are likewise fans of the programs—and they’ve made a tradition of grabbing their phones and exchanging texts while they watch the dramas unfold, commenting on the various plot twists. “We love good stories—and the Masterpiece programs are all so well done,” Sherry says. “The costuming is terrific. The dialogue is great. And the characters just draw you in.” In the past, if she missed a Masterpiece program, she would simply wait until it aired again later in the week. But not anymore, thanks to KET Passport. With this member benefit that gives supporters expanded online access to thousands of PBS programs, she can watch programs she missed on her own schedule. Sherry said her passion for KET ultimately prompted her to take a larger role with the statewide public television station. 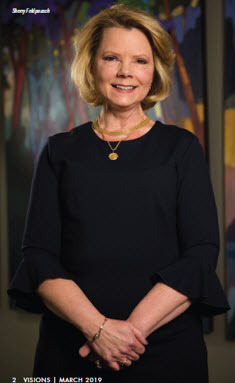 Nearly a decade ago, she began serving on KET’s Greater Louisville Regional Fund Board, eventually becoming the board’s chair for three years and spearheading numerous fundraising events for the station, including the annual Spirits, Sparkles and Spurs event. profession and community. Edwards received her J.D. at the University of Louisville Brandeis School of Law and was honored as an Outstanding Law Alumnae in 1999. Edwards has more than 35 years of experience and expertise in all aspects of fiduciary law, including personal trusts, estate planning and trust and estate administration. Today, she is the co-chief executive officer, chief fiduciary officer and a member of the board of directors of The Glenview Trust Company. She is secretary of the corporation and has served as such since its inception in 2001. 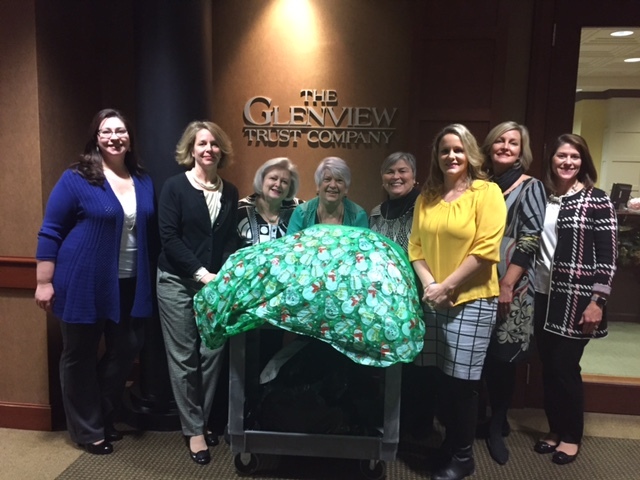 This year, the busy elves at The Glenview Trust Company partnered with the caring staff of ElderServe to spread holiday cheer to more than 40 seniors in our community. 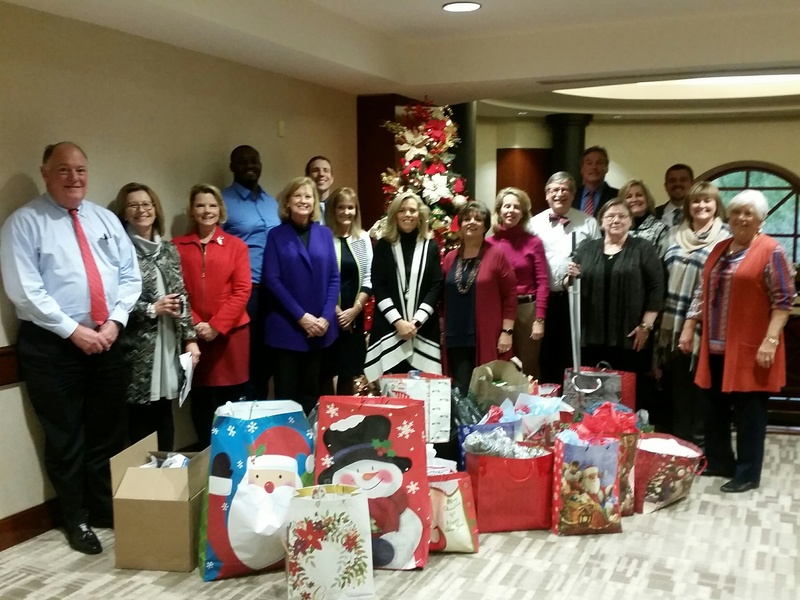 Our staff joined together to shop, wrap gifts, and lift the spirits of seniors in our community that may not have family or friends to support them during the holidays. We sincerely enjoy the opportunity to give back to our community. Identity Theft has been an important topic in the news and in our many conversations with our clients and we want to help you feel empowered to act should this happen to you. The following link, “Coping with Identity Theft”, outlines the steps you need to take in the event you or your family falls victim to identity theft. Your Glenview team works extremely hard to protect your sensitive information, including all information held in electronic formats. We also work to stay current on this important subject and will continue to share our findings and best practices for protection against this crime. As our Client Service Team works with you throughout the year, please let us know your concerns on this topic and any others. Our number one priority is always to provide the best customer service and to act quickly when important events in your life require our assistance. All of us at Glenview wish you a happy and prosperous 2018. Prior to the election, the economy was looking late cycle. Margins for US companies had peaked, the labor market was at what most consider full capacity, and the global economy – while doing okay in 2016 – was likely at the tail end of the benefits it got from supportive monetary policy and large stimulus in China. The results of the US election have given markets hope these forces will be arrested through a cocktail of deregulation, tax cuts, and repeal of the Affordable Care Act, and markets have responded accordingly, sending stocks much higher and most bonds much lower.